Nintendo’s retro reboot console proved to be a very popular item this past holiday season, and despite supply shortages, the company has managed to sell 1.5 million units so far. Nintendo president Tatsumi Kimishima disclosed the figure during a recent earnings report, apologizing to customers for the shortages and vowing to increase production capacity of the tiny console. "We brought back the nostalgic Famicom and NES home consoles in palmsized versions and shipped the entire quantity of Nintendo Classic Mini Family Computer units we initially prepared for each market," Nintendo president Tatsumi Kimishima said in the company's latest earnings report. "We apologize to our consumers and retail partners for the inconvenience caused by product shortages. Some parts require time to procure, but we are working to increase production. We also see the nostalgic interest in these products as an opportunity to draw consumers' attention to our latest game system, Nintendo Switch." The $60 NES Classic launched in November and sold out almost immediately at retailers like Amazon, Best Buy and GameStop. 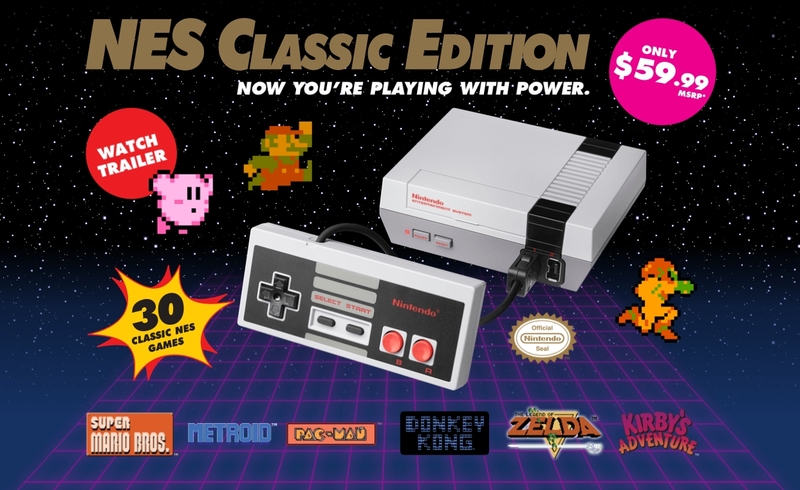 The device has 30 classic titles pre-installed, and ships with a controller that replicates the original NES controller, although with a much shorter cord. Along with the new hardware comes a new online platform for multiplayer gaming which will require a subscription much like Xbox Live Gold and PlayStation Plus. The service will cost between 2,000 yen and 3,000 yen per year — that works out to around $17.50 to $26.50 in US dollars although it’s unclear if Nintendo plans to price it similarly across all regions. Pre-orders for the Switch have already sold out, forecasting heavy demand for the console on release day.